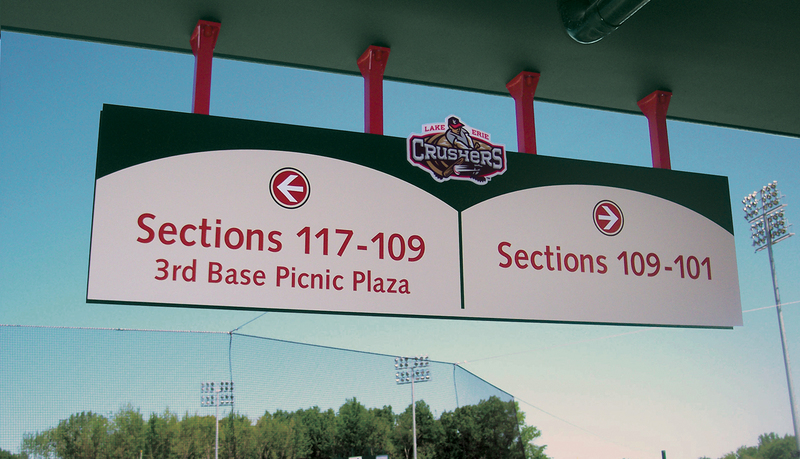 The $12 million, 5,000-seat All-Pro Freight Stadium is the home of the Lake Erie Crushers, a professional minor league baseball club in the independent Frontier League. 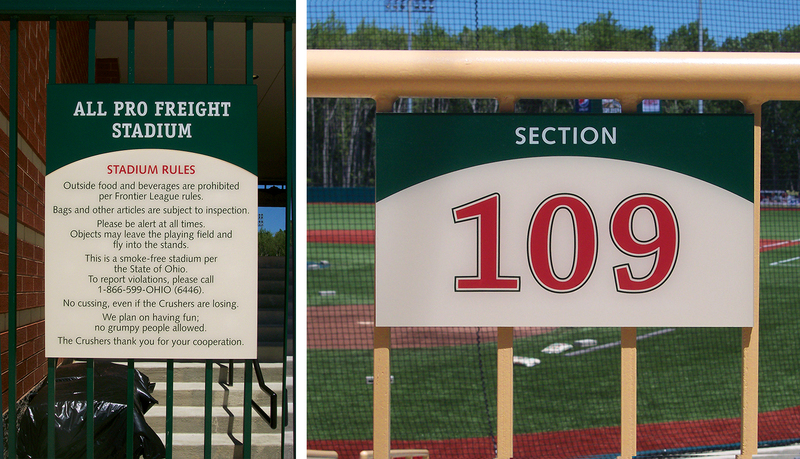 Designed by RWL Architects, Inc. and built by Infinity Construction, All-Pro Freight Stadium was designed to function and feel just like a major league major league ballpark, but on a smaller scale for the community. 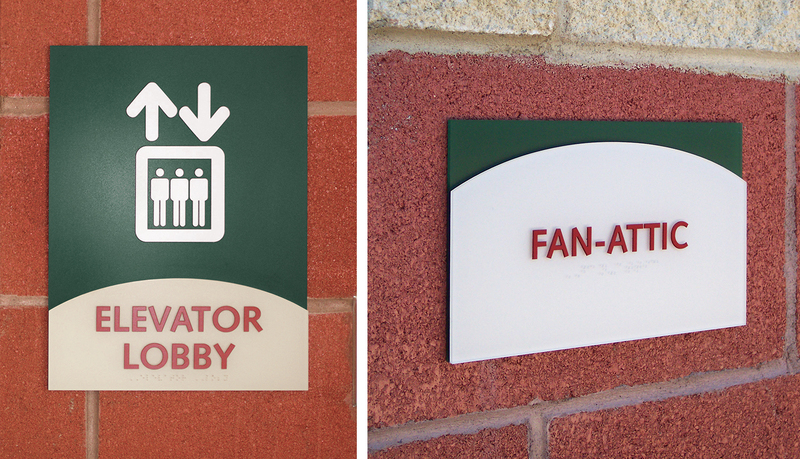 Due to a tight three-month construction timeline, ASI was brought on board to create a design-build signage solution for All-Pro Freight Stadium. 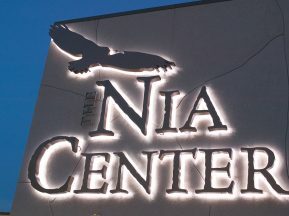 ASI was chosen based on past relationships on other stadium projects and the design-build capabilities allowed ASI to provide a single source of communication and streamlined process from start to finish. 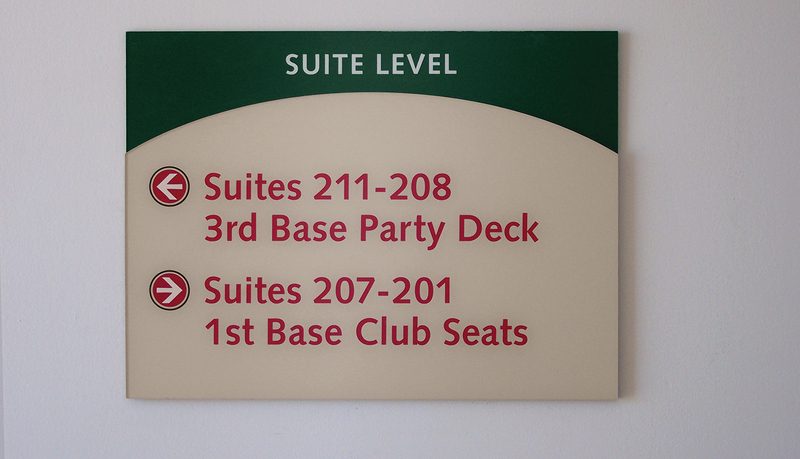 The stadium and club ownership wanted a look to complement the architectural design of the stadium, but still capture the spirit of baseball and athletic competition. 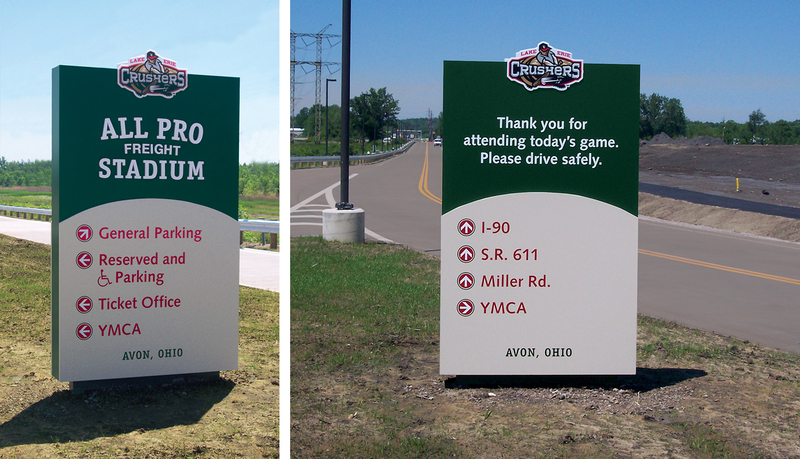 The signage design package required incorporating the Lake Erie Crushers team logo into the primary exterior monuments and directional signs and integrating prominent architectural features and colors of the stadium into the solution. 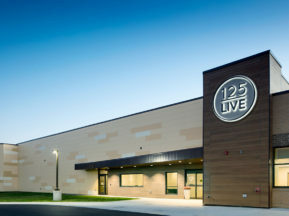 To accommodate the short project timeframe, ASI designed the larger exterior signage and received approval within the first two weeks so fabrication could begin. 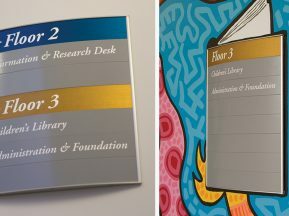 While the large signage was in production, the smaller, acrylic and ADA signs were designed and approved. 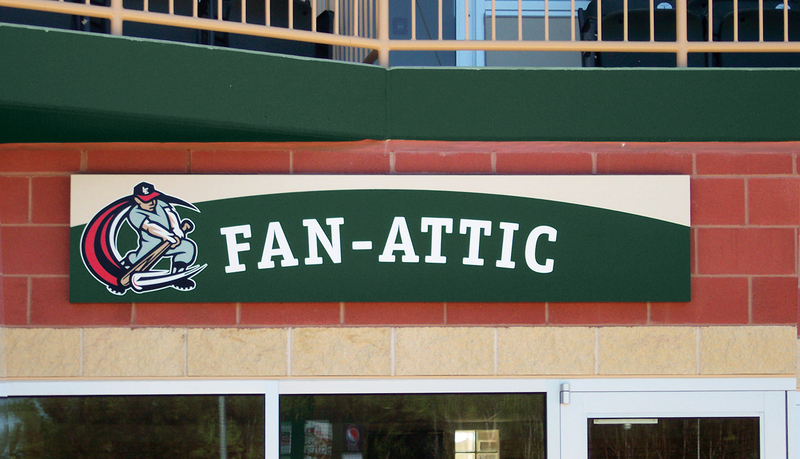 Due to the harsh weather conditions of the northeastern Ohio region and the high-traffic public access to the ballpark, the exterior signage needed to be designed and fabricated to be both durable and vandal resistant. 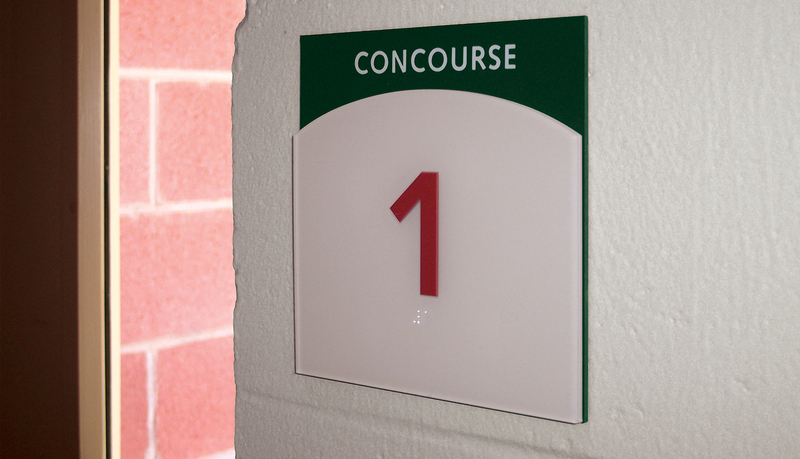 The signs were also value engineered to save money and fit within the tight budgets by optimization of material for minimal waste and creating consistent sizes which reduced setup and labor time. 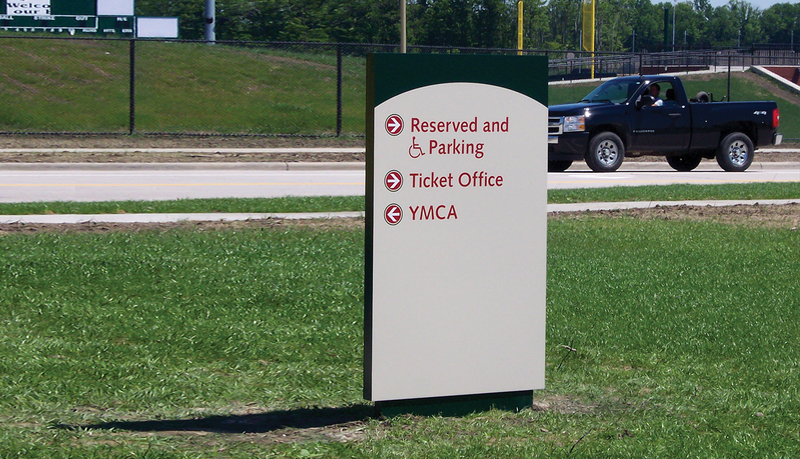 The complete signage solution included aluminum monoliths and wall mounted box panels, subsurface painted acrylic and InTac ADA-Ready™ panels, large-format digital prints and fabricated aluminum dimensional letters. 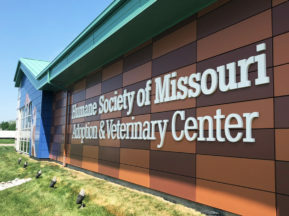 Through the use of ASI’s design-build process the project was completed on time, within budget and most importantly as expected.